In its early days, flying must have been a terrifying experience, in flimsy canvas-covered wooden planes with unreliable engines and primitive instruments. 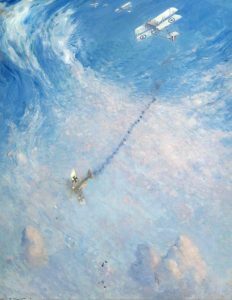 In war, pilots also fired guns and dropped bombs from their cockpits, and had to evade enemy planes. 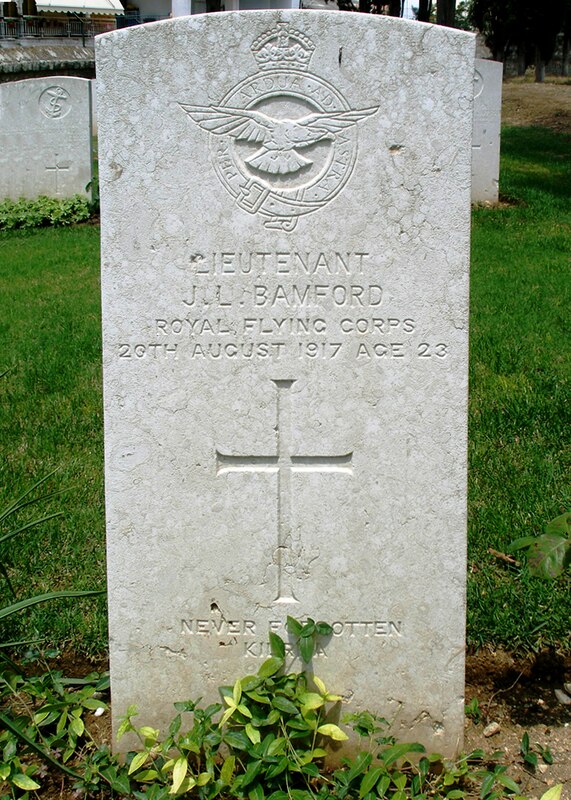 The story of Lt. Joe Bamford gives an idea of what it might have been like. When Joe’s great nephew Gavin Bamford started to look into his great uncle’s war records he did not expect to find a hero, but Joe certainly fitted the description of an ‘ace’. Joseph Lamont Bamford was born in Kilrea in Northern Ireland on 5th January 1894. 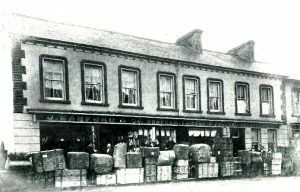 The Bamfords were a well known family in the Kilrea and Garvagh areas, and still are today. Before the war Joe worked for the automobile engineers, Messrs. J. 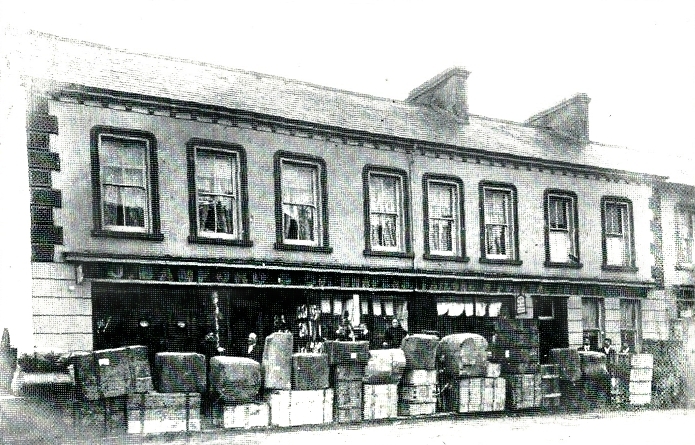 B. Ferguson Ltd., Chichester Street, Belfast. His mechanical skills proved useful and on enlistment in December 1914 he was posted to Commander Locker-Lampson’s RNAS Armoured Car Squadron and served with that unit in France and Belgium. According to his military papers he was 5′ 8½” in height, with a chest of 36″, brown hair, grey eyes and a fresh complexion. The following year Joe gained a commission in the Royal Scots Fusiliers and was later transferred to the General List for service in the Royal Flying Corps (RFC). 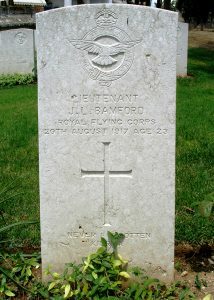 He gained his ‘wings’ in August 1915. 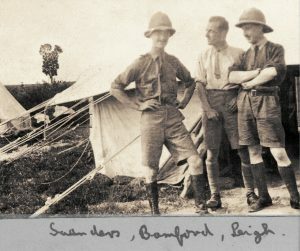 During 1916 he served with 5 Reserve Squadron, RFC in Warwickshire. 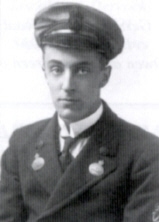 Promotion to Lieutenant came in August 1917. 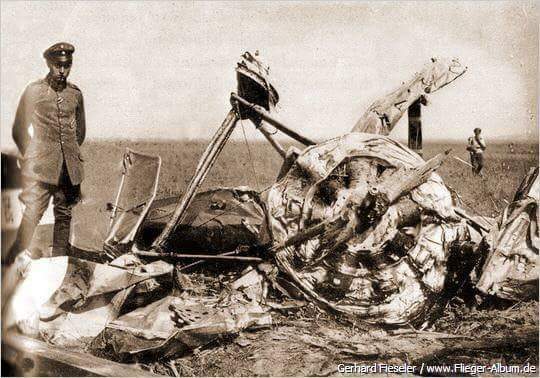 At this time there was no Royal Air Force as such: the Royal Flying Corps had only been set up in 1912 and was a branch of the army, which explains Joe’s army rank of Lieutenant. The Royal Naval Air Service was the navy’s equivalent and the two corps became the Royal Air Force in 1918. At the start of the war RFC aircraft were mainly used for reconnaissance, in support of the army. 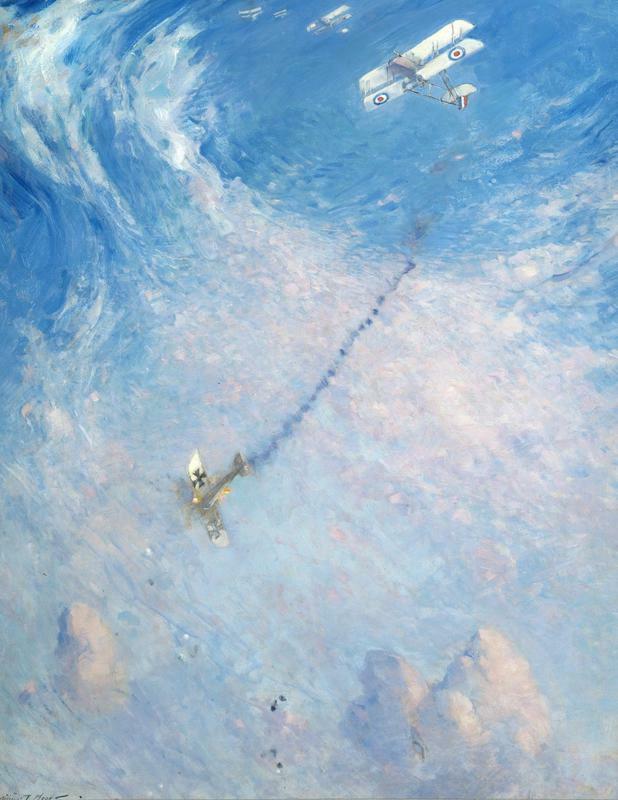 However as time went on the air became a new theatre of war, with pilots battling it out with their opponents. “I fell like a stone in a spinning nose dive for about 6,000 feet and, having to hold on with both hands, I could not get my engine shut off. Eventually I managed to do it and the machine then turned upside down and started gliding at a more respectable pace, I being held in by my belt, which did its duty nobly. I had a vertical gun going straight up above my head (and in this instance it was pointing straight down) which I thought would be better out of the way when I hit, so I undid the fastenings and let it drop overboard. It was a jolly good thing that I did, as the mounts were knocked to bits. The only control I had was lateral, viz., making one wing go up and the other down, and just before I hit I yanked it right over and I made the right wing strike the ground first, breaking the fall considerably. I was a bit shaken up but was not by any means insensible”. The official accident report is much more laconic. It records that the ‘crash caused the fuselage to break off, went down, spinning nose dive and glided upside down. Machine finally fell on starboard wing’. Joe was also ‘mentioned in dispatches’ by Lieutenant-General G F Milne CB, DSO, Commander-in-Chief of the British Salonika Army. A second ‘mentioned in dispatches’ is also recorded. A short while later, on 20 August 1917, Joe was reported as missing, believed killed. Newspaper reports suggest that there was no doubt about his death. As Joe fell behind enemy lines, he was buried by the Germans in the Topolcani German Cemetery, Macedonia. In 1921, his body was exhumed and reburied in the Salonika (Lembet Road) Military Cemetery, Greece. He is also remembered on the Kilrea War Memorial,the family gravestone in Kilrea First Presbyterian Church and in Balmoral Golf Club, Belfast. Gavin Bamford joined the Northern Bank in 1974 and later volunteered for service in the TA. Circumstances around that time saw him transfer into the part-time Ulster Defence Regiment (UDR) serving until 1985. Years later, Gavin decided that he would commence a project to research every one of the nearly 300 men named on the Bank Memorials, including his own father, who had been a manager at the Belfast Bank. Gavin’s website went ‘live’ in September 2011 and to date has had over 190,000 hits. The success of the Northern Bank War Memorials website led Gavin to undertake further research on the men of the Ulster Bank who served in WW2. Gavin’s retirement from the bank in 2013 led him to meet up with other like-minded researchers who were interested in the ‘Decade of Centenaries’ and ultimately serve as Treasurer of History Hub Ulster. 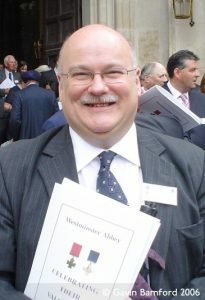 Gavin was elected Chairman of History Hub Ulster in 2017. Gavin still lives in Northern Ireland.